AS MORE buyers switch to SUVs there are renewed efforts to improve the appeal of conventional passenger cars. 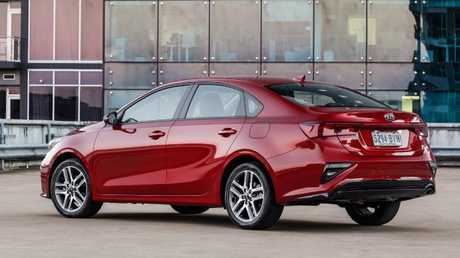 Take the new Kia Cerato sedan for example. It's bigger than a Toyota Camry from 20 years ago - and larger than the current Corolla and Mazda3 sedans - and equipped with class-leading technology despite not wearing a European badge. The price of the base model automatic - the most popular variant - has risen from the longstanding discounted $19,990 drive-away to $21,490 drive-away. However, it's still cheaper than most of its mainstream peers, including the Mazda3, Toyota Corolla, Hyundai Elantra, Honda Civic, Ford Focus and Subaru Impreza. It's better equipped than the cheapest versions of these rivals, too, an amazing double-act that's likely to cement the Cerato's place in the top five sellers list in the small-car class. Standard fare includes city autonomous emergency braking (AEB), lane-keeping assistance, rear camera, front and rear sensors, Apple Car Play and Android Auto, digital radio, a digital speed display and dusk-sensing headlights. Optional on the two cheapest variants - and standard on the $26,190 drive-away flagship - are radar cruise control and AEB with pedestrian and cyclist detection. Rear cross-traffic alert and blind-zone warning are also available. Unlike most rivals, all of the above extra safety tech can be added on the base model, for $1000. Despite having the ingredients for five-star safety, the Cerato does not have an ANCAP crash rating as it is yet to be tested. Convenience items include a one-touch auto-up power window for the driver, three USB ports and one 12V socket. Both sun visors have large vanity mirrors, although only the top models are illuminated. The dearest model gains leather seats, LED headlights, built-in navigation with free map upgrades for 10 years, sensor key with push-button start, and dual zone airconditioning. The exterior may look familiar but this Cerato is new from the tyres up, a clean-sheet design from the predecessor introduced in 2013. 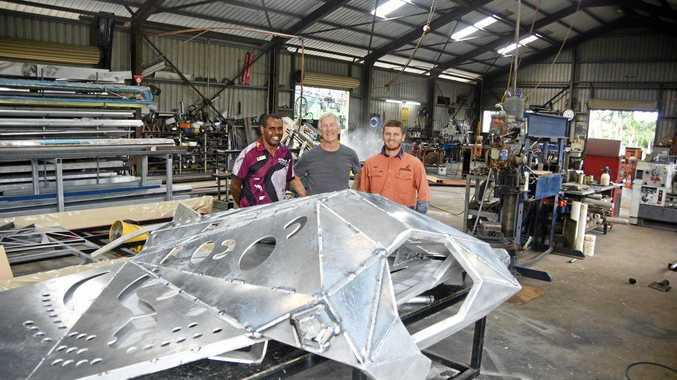 Inside, there's more head, shoulder and knee-room and the interior presentation has been given a lift. 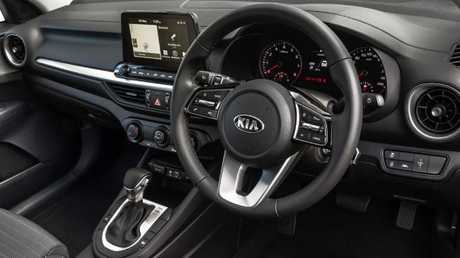 The seats have better cushioning and fabrics, the cabin materials have a higher quality appearance and there's a large tablet-style eight-inch touchscreen in the centre of the dash. The glovebox, centre console and door pockets are generously sized. The view from the rear seat is not quite as impressive: there are no pockets on the front seats of the base model. Instead, there's a large piece of hard plastic to cope with scuff marks. The top model gains rear air vents and mesh on the seat backs to stow bulky items. All models come with two Isofix child seat mounting points and three top tether latches, allowing for an old-school child seat in the middle position. The back seat split-folds 60-40, although the release tabs can only be accessed via the boot. On the base model the boot can be opened only via the remote key fob or a tab in the driver's footwell, next to the fuel-flap release lever. Dearer models gain a boot release switch under the garnish near the top of the rear numberplate. Thanks to the growth spurt the boot is massive, up from 482L to 502. This gives the Cerato sedan one of the biggest cargo holds when compared to Civic (519), Corolla (470), Elantra (458), Astra (445), and Mazda3 (408). Unfortunately, Kia has succumbed to the trend of putting a skinny space-saver spare in the boot, even though there is room for a full-size item under the floor. 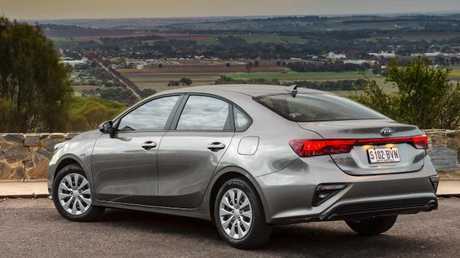 The company says it was a cost trade-off for other features but it also brings the Cerato in line with most rivals. Country drivers who prefer a full-size spare can buy one as an accessory and it will fit comfortably in the wheel well. 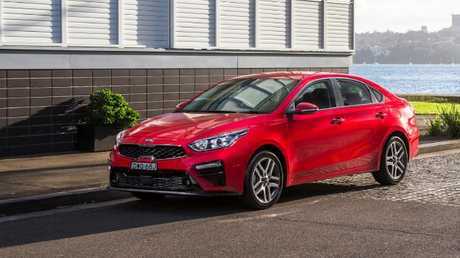 As with all other Kia cars sold locally the new Cerato has benefited from Australian suspension tuning. The steering is smooth, light and predictable. The engine is not the most powerful among its peers but it's perky enough for a commuter car. Claimed fuel consumption has gone up slightly thanks to the bigger body and extra equipment, making it one of the thirstiest among its peers. Usually when a new model comes out, fuel economy improves. At least it will happily run on regular unleaded. The conventional six-speed auto has been revised from the previous model; it's a welcome point of difference with certain rivals that have indecisive twin-clutch autos or continuously variable transmissions that seem to strain. The two most expensive models - the Sport and Sport+ - run on 17-inch alloys with low-profile Nexen tyres. Their comfort over bumps is surprisingly good and road noise is acceptable but their wet weather performance leaves a little to be desired. Our preference is the base model on 16-inch steel wheels with taller profile Kumho tyres for greater comfort, yet they still steer and corner with confidence and precision. Few cars in this price range have luxury-car levels of refinement (sound deadening costs money and adds weight) but first impressions are that the Cerato is on par for quietness on most road surfaces. We'll reserve final judgment until we test it on familiar roads. Of course commuter cars are more about running costs rather than cornering prowess and on that front the Cerato stacks up well. In addition to its industry-leading seven-year/unlimited kilometre factory-backed warranty, the Cerato's maintenance schedule and costs are better than most rivals. Service intervals are 12 months/15,000km (others such as the Corolla inconveniently need to return to the dealer every six months/10,000km) and the capped price servicing program is reasonably priced. The first three services cost a total of $923, although there is a spike at the four year/60,000km mark ($487). Overall impressions? The Mazda3 has slightly better build quality and driving appeal and the Honda Civic interior looks more futuristic. 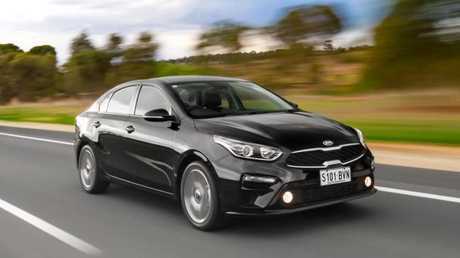 However, the new Cerato sedan aces on price and equipment and the relaxing driving experience will suit the needs of most small-car buyers. 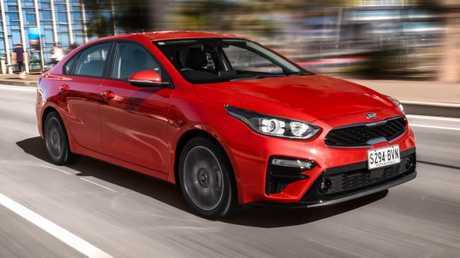 Here's hoping the Cerato hatch can match the sedan when it arrives later this year. An honest car at an honest price. PRICE The base model auto increases from its longstanding discounted price of $19,990 drive-away to $21,490 drive-away but it is much better equipped. The manual remains $19,990 drive-away. The Sport is $23,690 drive-away and the flagship Sport+ is $26,190 drive-away. TECH The Cerato now leads the class. All models gain camera-based autonomous emergency braking (AEB) and lane-keeping assistance in addition to a rear camera and front and rear sensors. Also available are radar cruise control (adding pedestrian and cyclist detection to the AEB), rear cross traffic alert and blind. 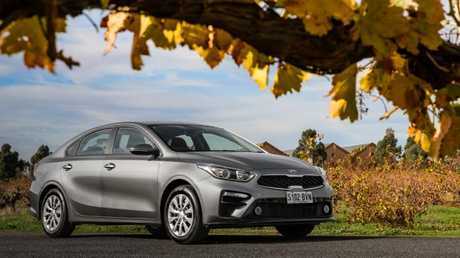 DRIVING As with all models sold locally, Kia has tuned the suspension on Australian roads. The base model on 16-inch wheels and Kumho tyres is a good all-round package. The Sport pair (both with 17-inch alloys and Nexen tyres) feel good in dry conditions but wet weather grip could be better. PERFORMANCE The carry-over 2.0-litre four-cylinder is matched to a revised six-speed auto or six-speed manual. It uses a touch more fuel than before (up from 7.2L/100km to 7.4L) because the new model is slightly heavier. 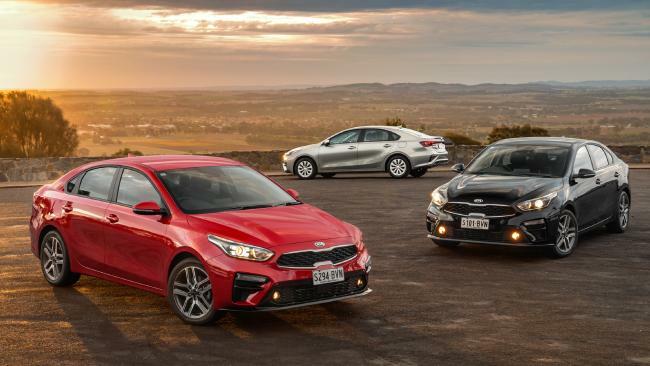 DESIGN New from the ground up but with the same footprint as the model it replaces, the Cerato is longer bumper-to-bumper and roomier - it's bigger than a Toyota Camry from the mid 1990s.